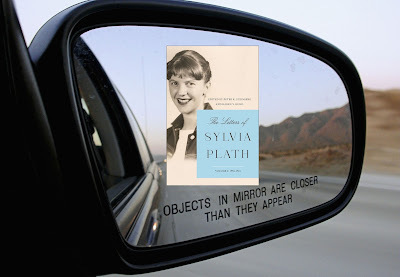 Just a friendly blog post today to let you know that The Letters of Sylvia Plath, Volume 2: 1956-1963 was sent off recently to the printers! This is true the point of no return. You can pre-order the Faber UK edition via Amazon.co.uk and the HarperCollins US edition via Amazon.com. If it is free international shipping you fancy, give Book Depository a shot: Faber edition; HarperCollins edition. I recently learned (or rather was reminded) that two of Sylvia Plath's poems and a photograph of her were printed in an anthology in 1963, just a few months after her death. 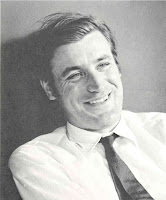 Two poems and a photo of Ted Hughes were included, too. This book and the poems are not listed in Stephen Tabor's Analytical Bibliography. The book is The Modern Poets: An American-British Anthology (New York: McGraw-Hill, 1963). It was edited by John Malcolm Brinnin and Bill Read and includes photographs by Rollie McKenna. Brinnin would have known McKenna for years as she famously photographed his Welsh buddy, the poet Dylan Thomas. And McKenna photographed Plath and Hughes in Boston sometime during the Boston year in 1958-1959. 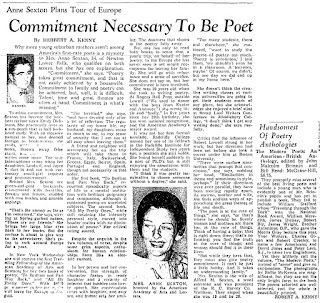 A review of the book, "Handsomest of Poetry Anthologies", appeared in the Boston Globe on 19 May 1963, next to the article "Anne Sexton Plans Tour of Europe: Commitment Necessary To Be Poet". The two Hughes poems are "Hawk Roosting" and "View of a Pig". The two Plath poems are "Black Rook in Rainy Weather" and "The Colossus". I think it is great Plath was included. (And it possibly might have given her the smile of accomplishment that Adrienne Rich was not!) But I cannot help but wonder when the poems were selected for inclusion? Perhaps it was when Brinnin and Read visited Plath & Hughes at Court Green on 25 August 1962 (reported in Stevenson, see also Trinidad; during this visit offered Hughes a teaching position at the University of Connecticut. Plath refers to this visit and these men in some of the worksheets for "Death & Co.)". The thing that really floors me was that Plath's mini-biography includes the detail that she died by suicide. It is always, always strange for me to recall that as poems like "Black Rook in Rainy Weather" and "The Colossus" were appearing in anthologies such as this, Plath has already moved so far beyond them. Remember, "Black Rook" was written in November 1956 and "The Colossus" in October 1959. By May 1963, Plath had died, obviously, but she was a full year removed from some of her most powerful verses such as "Three Women", "Elm" and "The Rabbit Catcher". This is not the only example. "Leaving Early" was published by London Magazine in August 1961 and then in Harper's in December 1962, just a few months before "The Arrival of the Bee Box" and "Wintering" in The Atlantic Monthly. 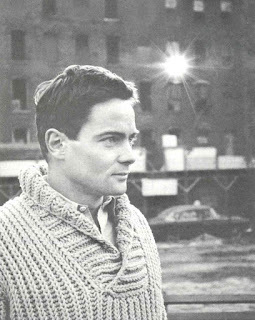 Because it is contemporary, here is the photo of the American poet W.S. Merwin that is in the book. I like looking at the photographs of the poets (and reading their poems). Especially their photographs as many look just as Plath would have known them. Such as, for example, Merwin, Robert Bagg, Philip Booth, John Lehmann, Marianne Moore, Howard Moss (pretty sure they never met in person, but he was an important figure), Anne Sexton, and George Starbuck, among many others. E.E. Cummings and Ezra Pound were not photographed; Cummings because he passed away in September 1962 when the book was still being compiled and Pound was in Italy doing what Ezra Pound did. Ted Hughes' copy, which he received in May 1963, is held by Emory University. A copy is available to view via Archive.org. There was a second edition of the book published in 1970. All links accessed 17-18 May 2018. 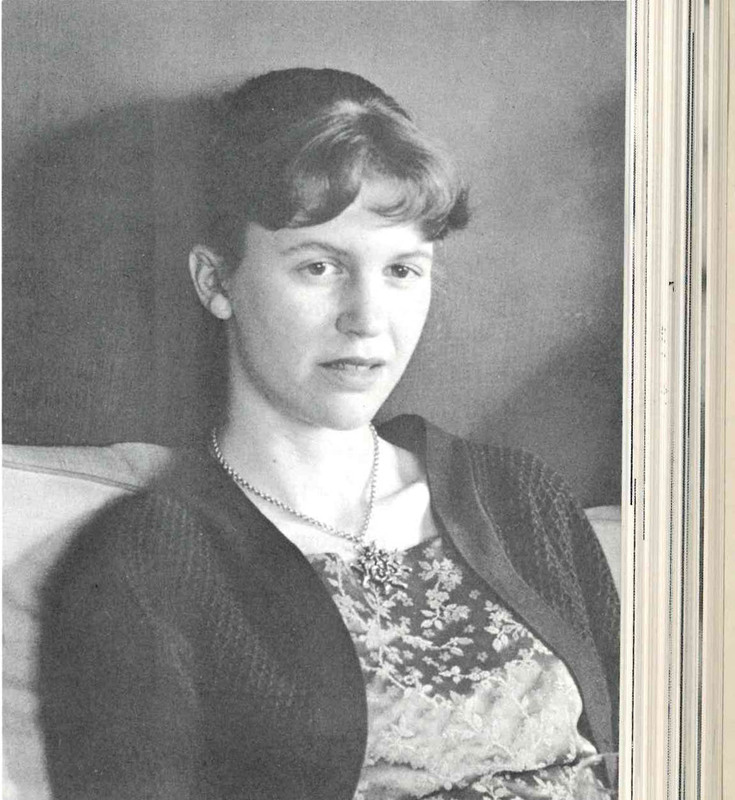 Sylvia Plath's colleague at Smith College, Marlies Kallmann Danziger, passed away in March 2018. She taught at Smith when Plath was a student and a colleague in the department of English at Smith College in the 1957-1958 academic year. 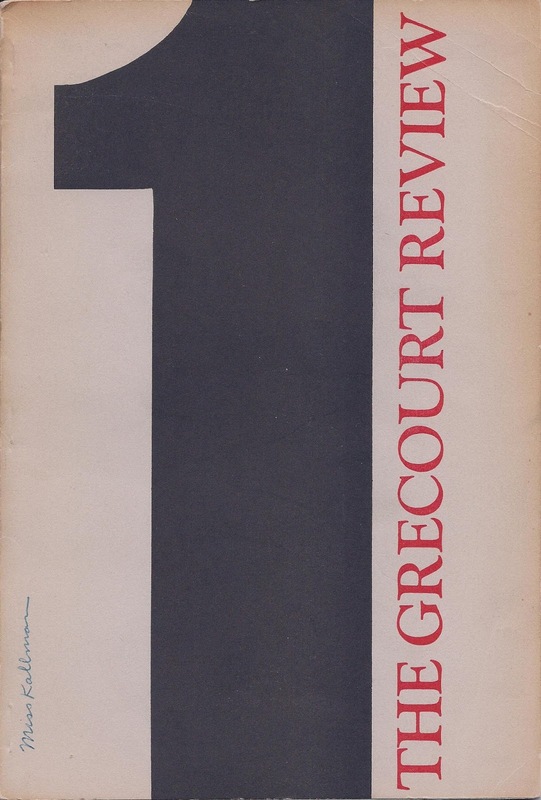 This copy of the Grecourt Review 1 from November 1957, which prints Plath's poem "All the Dead Dears", may have been her's as it bears the ownership inscription "Miss Kallman" on the cover (bottom left). I acquired this copy back in 2012 and never did anything with it (I had always meant to present it on the blog but just never did; got distracted by a little project on her Letters). But, having just learned of her passing, I felt it was worth writing about now. Danziger appears in Plath's journals in several entries (12 January 1958, 22 January 1958, 8 February 1958, 27 February 1958, 5 May 1958 (twice), and 19 May 1958). Kallman apparently lived in Albright House and had her office in Library 52, according to a staff directory for Smith (pictured below). Smith College archivist Nanci Young informed me that back then, each house had a house mother and a faculty adviser living in residence with the students. 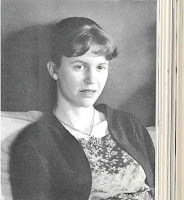 However, according to Plath' journals, Marlies lived with her husband, Erwin, at the weekends... which makes sense as after seeing a performance of Denis Johnston's adaptation of Finnegans Wake in Holyoke, Plath and Hughes went to Marlies' house for whiskey and it is not likely that this was in Albright House! I have not yet tracked down where Erwin Danzinger lived at the time but if I do I will add it to the post. All links accessed 7 May 2018. 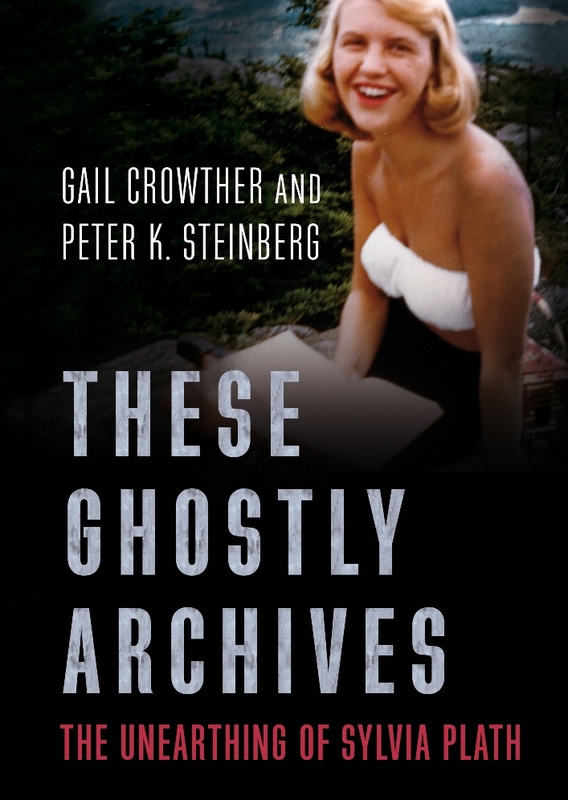 Happy Birthiversary to These Ghostly Archives: The Unearthing of Sylvia Plath. 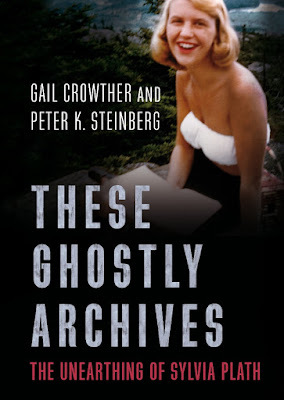 Just a small blog post today to say that These Ghostly Archives: The Unearthing of Sylvia Plath by Gail Crowther and some other person was published one year ago tomorrow, 11 May 2017! 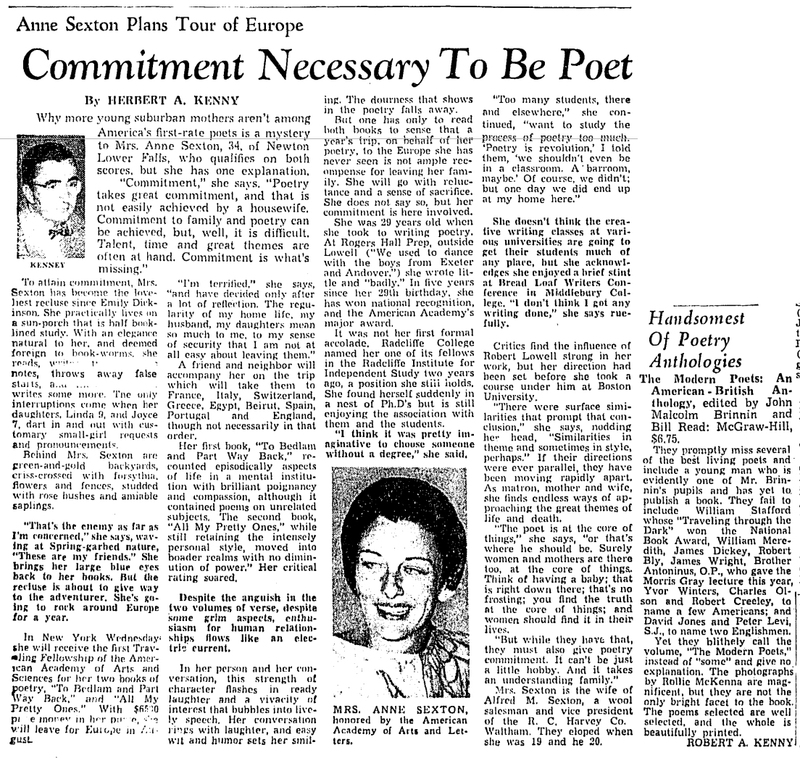 After it was published, the bombshell that we had located lost Plath poems made international news, which is still hard to believe. You can still buy it on Amazon US, Amazon UK, and via other retailers. Some Waterstones stores even stock it, which tickles us! A big heartfelt and sincere thank you to anyone and everyone who has purchase the book, the ebook, or even borrowed it from your library. And of course, my deepest, most sincere gratitude to Gail Crowther for letting me write with and to her. All links accessed 10 May 2018. Hello! It is with great pleasure to let you know that Sunday night, 29 April 2018, I sent in the files to Faber & Faber for The Letters of Sylvia Plath, Volume 2: 1956-1963.
to be published on 30 October 2018. The files included the final, final, final, final, final, final (etc.) proof of book itself, the front matter, the image plates & captions, and the index. Having read the volume four times since last August already, I feel it a good book and certainly, obviously, picks up from where Volume 1 concludes. I am sure you have questions. However, as in the aftermath of finishing Volume 1, I am not able at the moment to discuss anything about the volume, so I do appreciate that each of you will not ask questions! The UK cover is under review; so as soon as it is finalized and I have permission I will post in here and on Twitter, etc. Within the turning of one calendar year---the volumes are Irish twins, essentially---we have produced out two massive volumes of Plath's letters! All for you! And my head is spinning at how we did it. Of course the project started years ago and it is hard to remember a time when I was not working on the letters! The two volumes have more than 960,000 words! (The front matter and index easily bumps the word count to more than one million!) I nearly single-handedly transcribed and proofed Plath's letters (more than 1300 of them) and created the vast majority of the more than 3,600 footnotes. In addition, I selected the images, wrote all the captions, secured permissions, etc. My mantra throughout the project was a line from Plath's poem "The Rabbit Catcher": "There was only one place to get to." Well, we are just about there and to know that the second volume is 128 days (or just over 4 months) from publication, and thus into your hands, fills me with an enormous sense of happiness. It has been the privilege of my life to work on these books for you. I did my best and gave everything that I could to try to ensure that the text you read is as close as possible to the text of Plath's original letters (look for my tell-all book later in the year to be published by Career Enders, Inc.). Early mornings, sleepless nights: day in and day out, in sickness and in health, with probably fewer than a week of days off in the course of the project. My deepest thanks for the trust placed in my by Frieda Hughes. 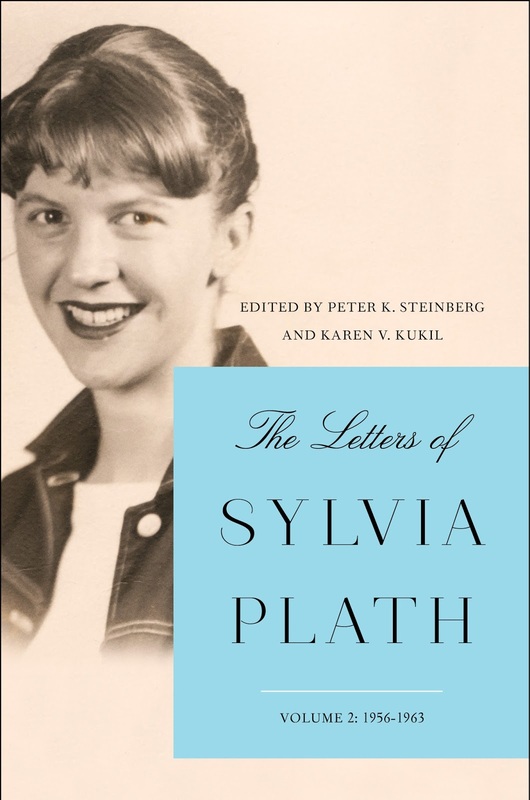 Look for The Letters of Sylvia Plath, Volume 2, to be published by Faber and Faber on 6 September 2018; and by HarperCollins on 30 October 2018. All links accessed 29 April 2018.